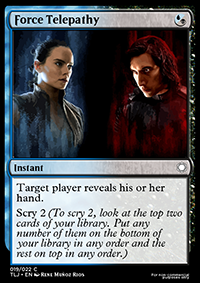 Star Wars: The Gathering is played with the same rules as the popular card game Magic: the Gathering. It focuses on a rich and flavorful draft environment starring your favorite characters and locations from a long time ago in a galaxy far, far away. The Jedi provide powerful effects when they enter or leave the battlefield. 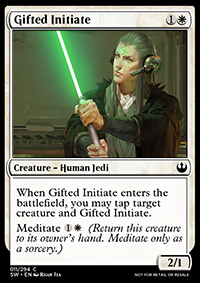 You can use the new Meditate mechanic to return them to your hand, so you can recast your Jedi to get maximum value from your cards! The Separatists wage war with a Droid army. 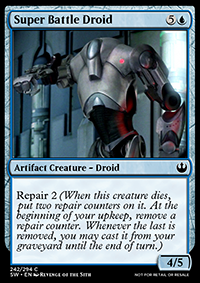 Each Droid has the ability to Repair after death, which in a few turns lets you cast it again, and again... and again... When you have an endless supply of artifact Droids, victory is but a matter of time. 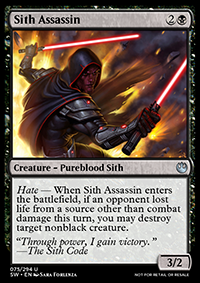 The Sith feed off the suffering of their enemies, and are here to rule at any cost. By bleeding your opponents of life, the Hate within is unleashed. 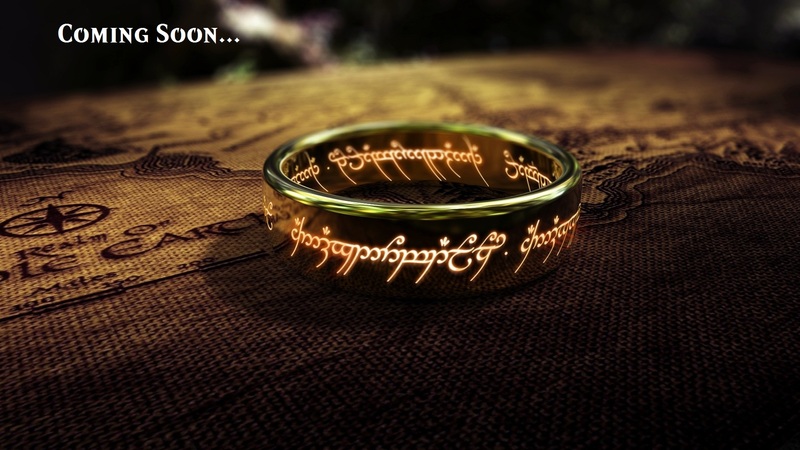 Soon, all will know the power of the Dark Side. Watch who you cross in this galaxy... or underworld ruffians will hunt you down as wanted prey. Hunters receive a handsome payoff for seeing to their Bounty meeting an accelerated demise. There is no might like the wild. 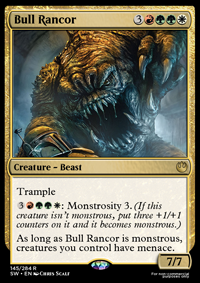 Home to Wookiees, Ewoks, and large beasts, these creatures start big, and then get bigger! Activate the Monstrosity ability to dominate the battlefield and never look back. Able to pull from all 5 colors, the Trooper Legion is everywhere. 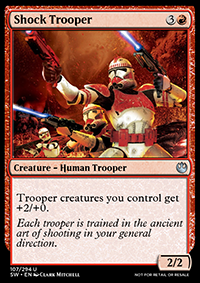 Each Trooper has an effect that strengthens all your Troopers on the battlefield. Grow your Legion, and you will become a power unrivaled throughout the galaxy. Spaceflight takes the fight to the stars! Only other creatures with spaceflight can block these starships. 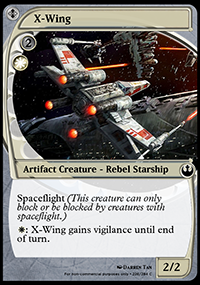 All cards with Spaceflight have a unique border to stand out on the battlefield, from the agile X-Wing to the towering Star Destroyer. 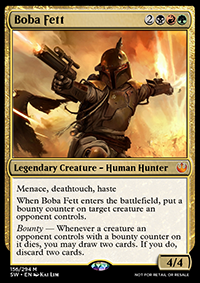 Any card that uses a Force power will Scry, letting you see into the future of your deck and draw your best cards. May the Force be with you.